Your home is your haven. 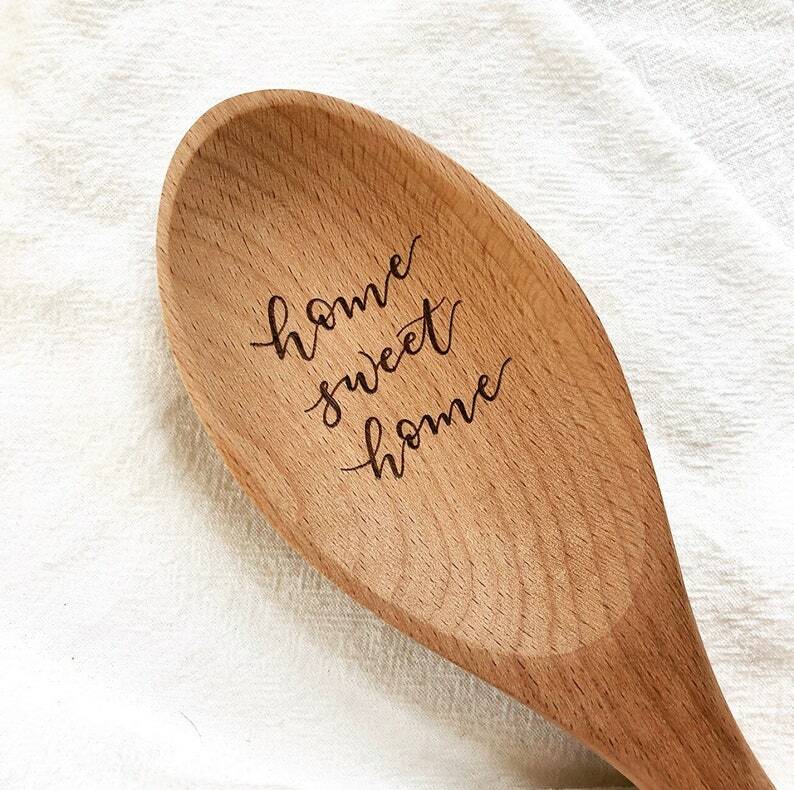 Make your kitchen your home sweet home. This design was lovingly lettered and wood burned by hand. It is meant to be used and loved and a functional piece of art for your home. Each utensil is made after ordering and may differ slightly from photos shown. This kitchen utensil is made of solid beech wood and measures 12” in length. It has a heavy, quality weight to it when held and fits comfortably in your hand while baking.